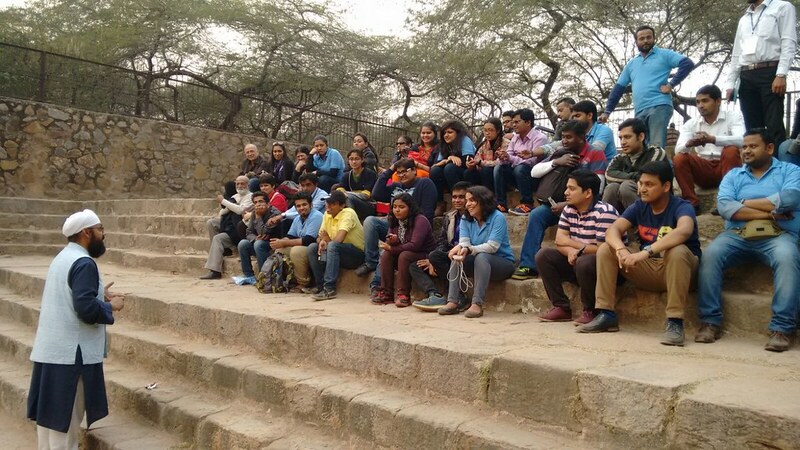 Accessible Tour of Qutub Minar: History session in progress by our history expert. 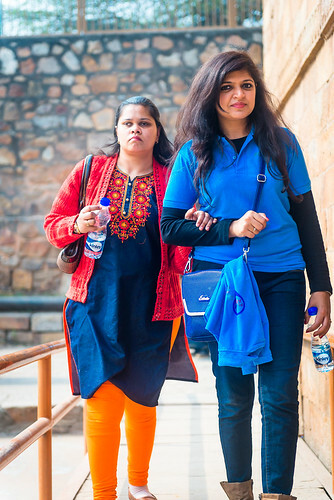 Accessible Tour of Qutub Minar: A traveller with her buddy. 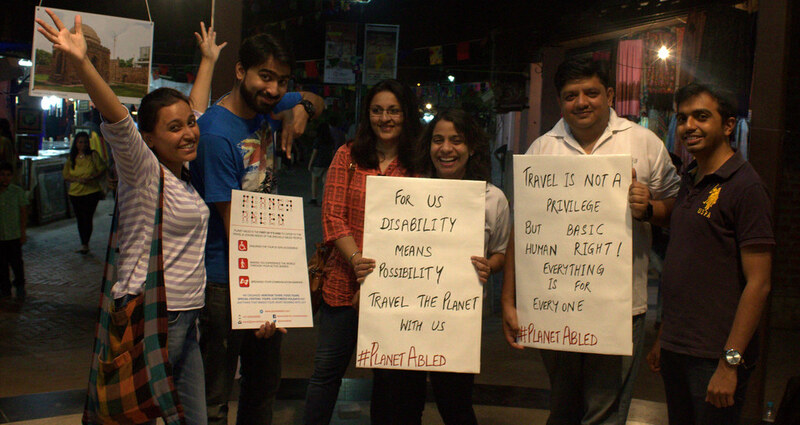 Travel buddies are trained and sensitised to assist persons with disabilities. 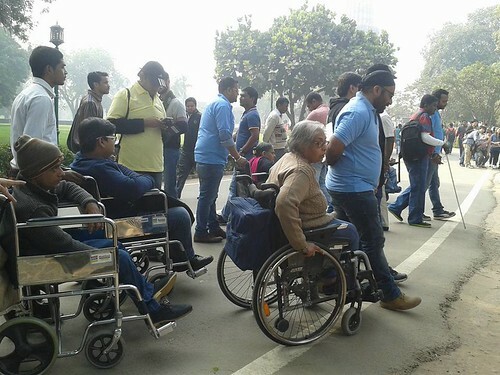 Accessible Tour of Qutub Minar: The entire group of travellers with their buddies. 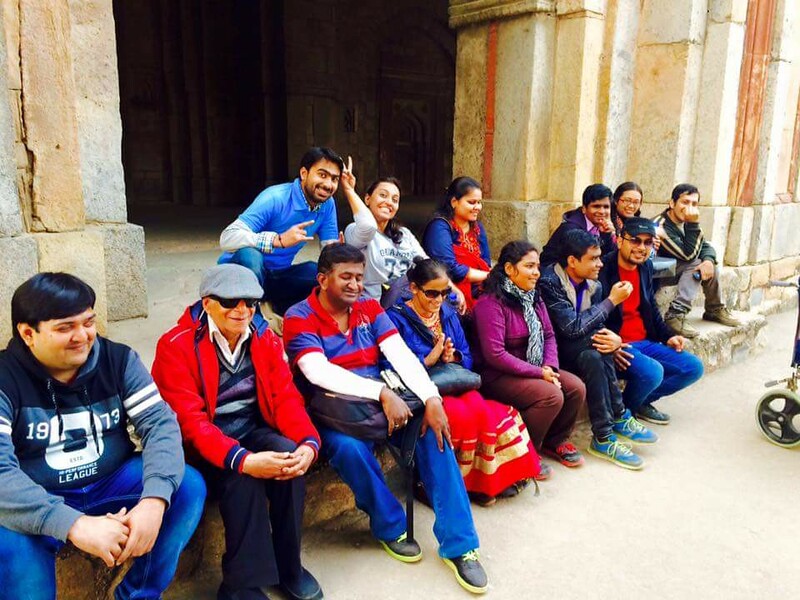 Accessible Tour of Qutub Minar: A group photo of all the happy travellers. Accessible Tour of Qutub Minar: Our travel buddy accompanying one of the traveller during the tour. Accessible Tour of Qutub Minar: Ramp facility for wheelchair users. We make sure that the venue is accessible for people with all disabilities. 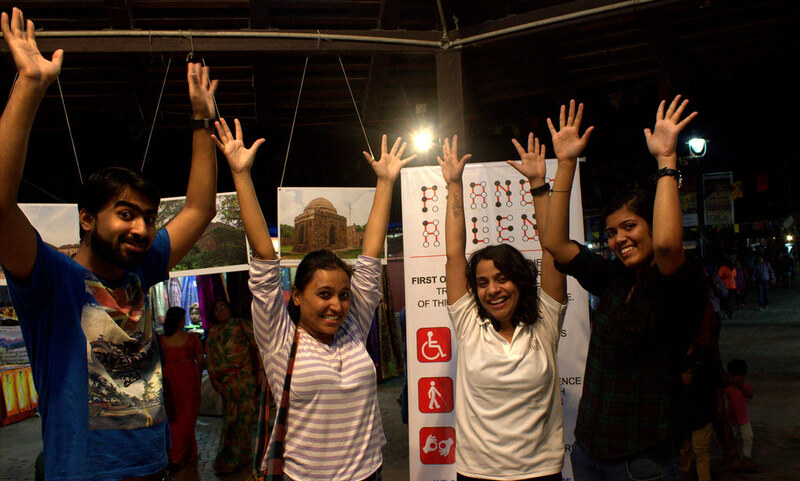 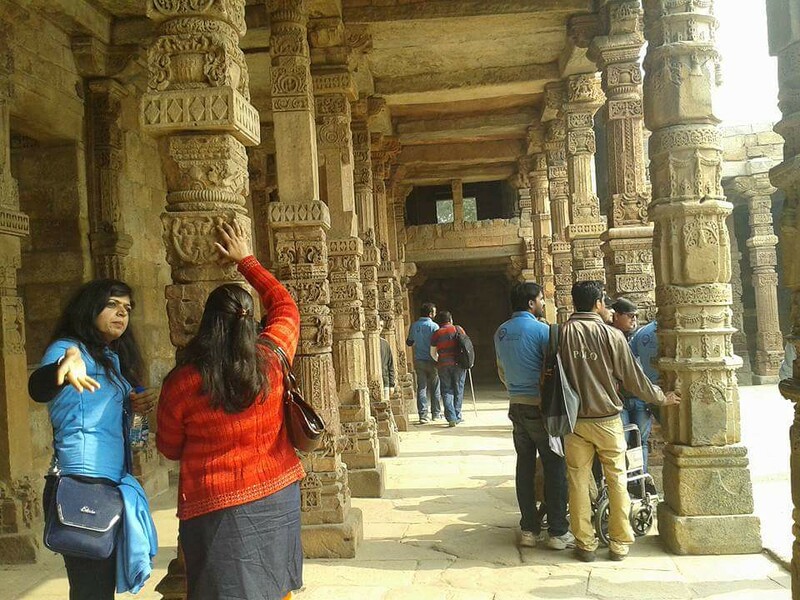 Accessible Tour of Qutub Minar: Travellers with their travel buddies. 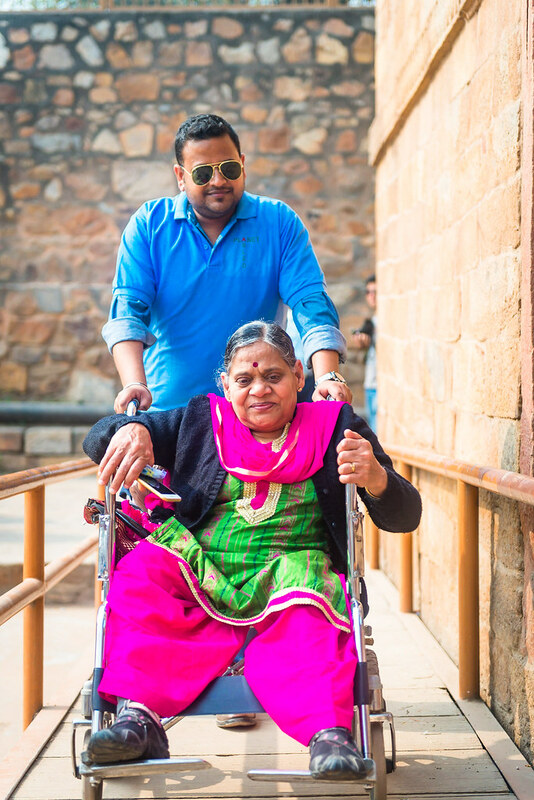 Accessible Tour of Qutub Minar: Binny, a young traveller who is blind, is seen in the photo with a miniature version of the Qutub Minar, which she can feel to understand more about the architecture. 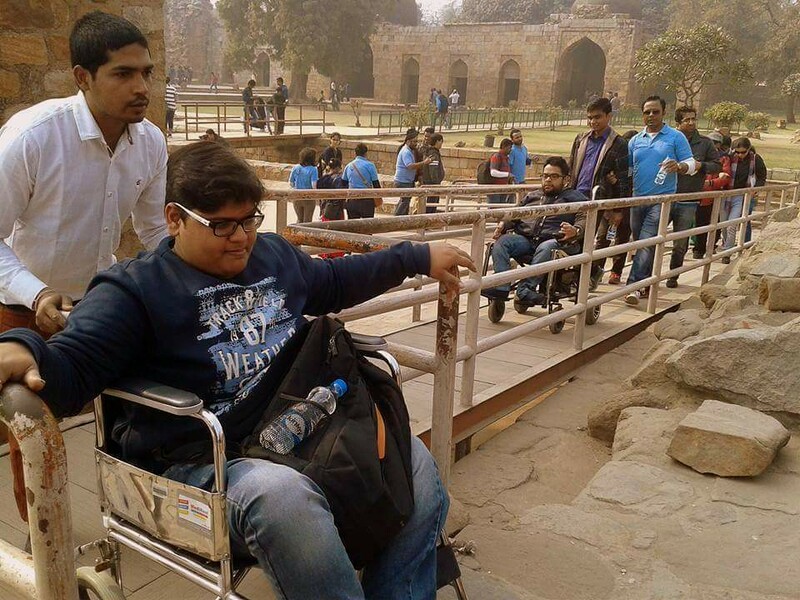 Accessible Tour of Qutub Minar: One of travel buddy interacting with a traveller with disability. 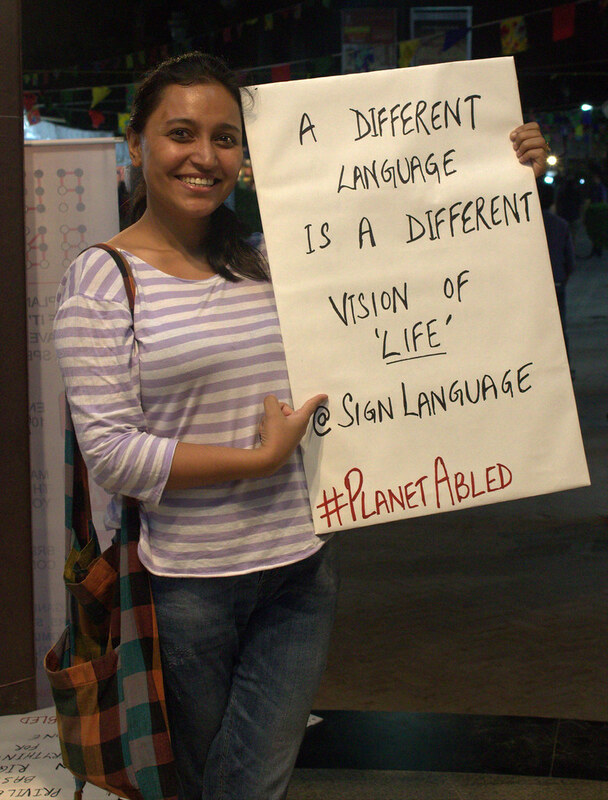 Poster Campaign: Rupmani with the poster which reads, 'a different language is a different vision of 'life' @signlanguage. Poster Campaign: All hands raised up for clapping in Sign Language. 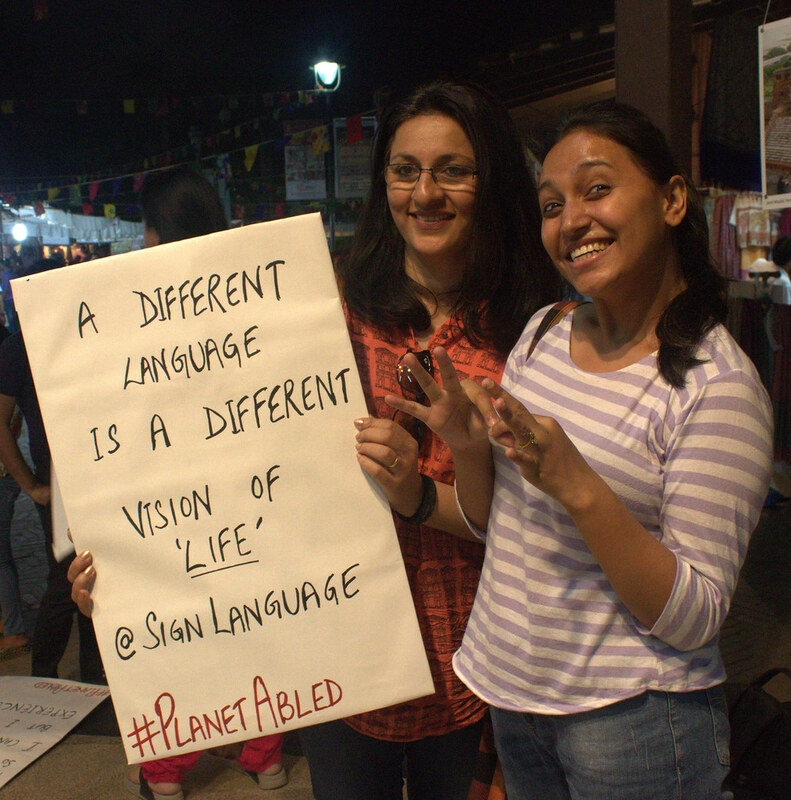 Poster Campaign: Rupmani who is Deaf with the Sign Language Interpreter (holding the poster). 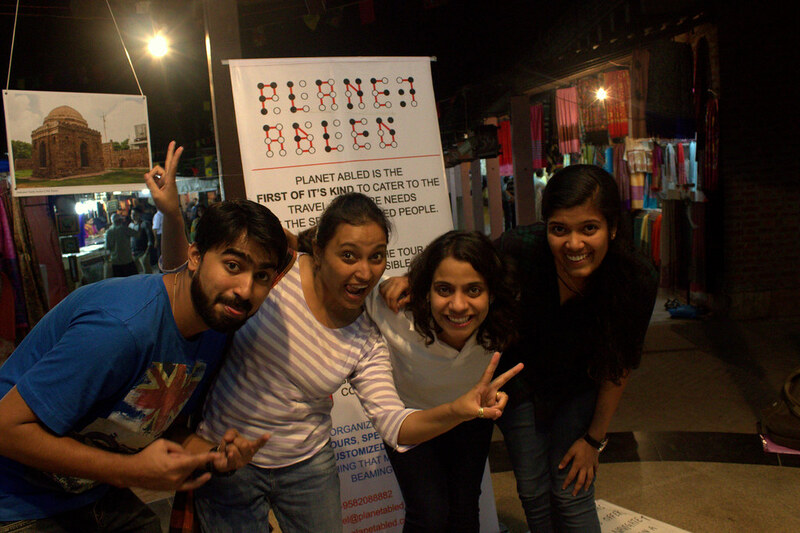 Poster Campaign: Posing in front of the Planet Abled standee. 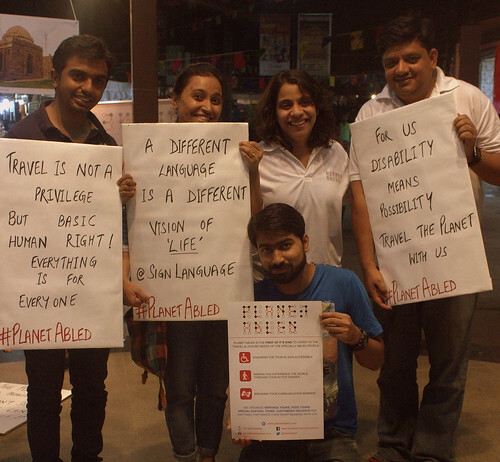 Poster Campaign: Travel for all is the message of the various posters being held by the people. Poster Campaign: One more group photo of the campaigners. 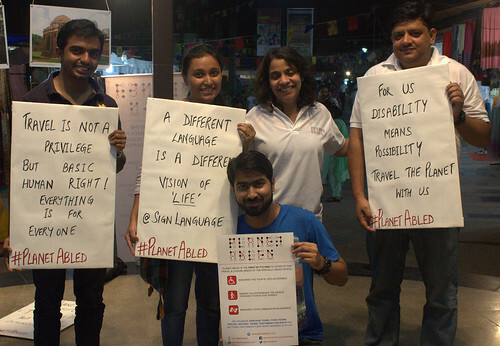 Poster Campaign: The campaigners with their posters posing for the photo. 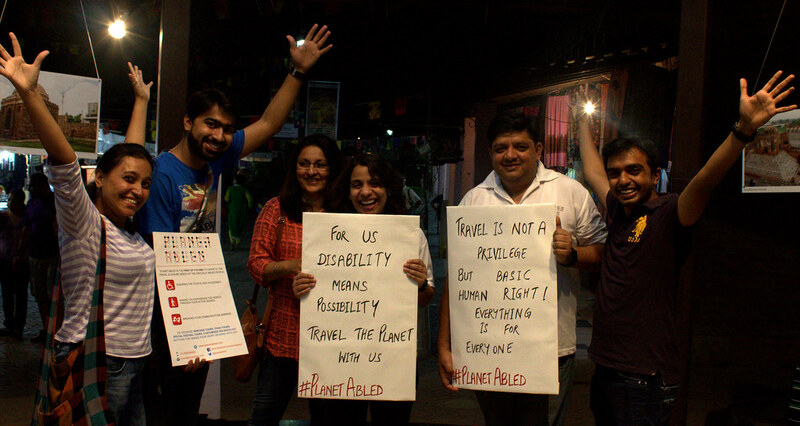 Poster Campaign: Different posters but with the same underlying message that travel is for everyone. Poster Campaign: One of the poster says 'the planet is so beautiful. 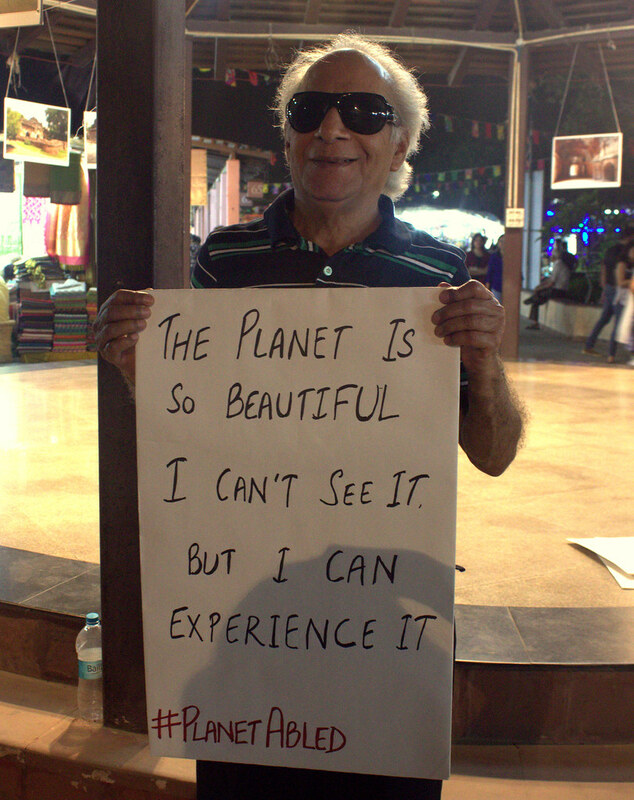 I can't see it but I can experience it'. 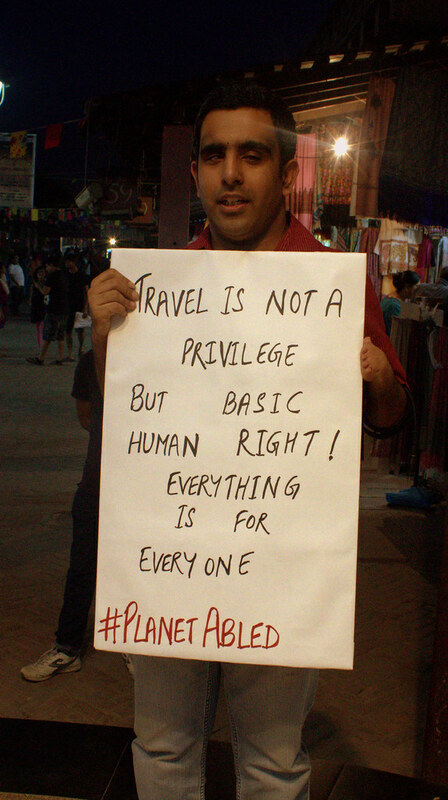 Poster Campaign: Pranav is holding a poster which reads, 'travel is not a privilege but a basic human right! Everything is for everyone'. 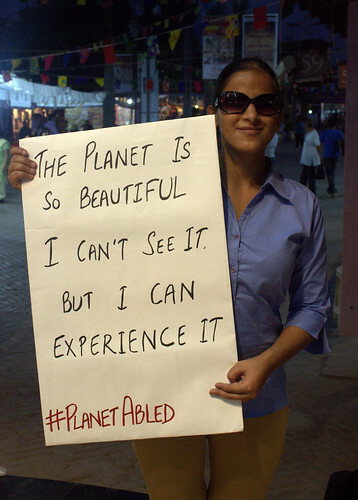 Poster Campaign: 'The planet has so much to offer. 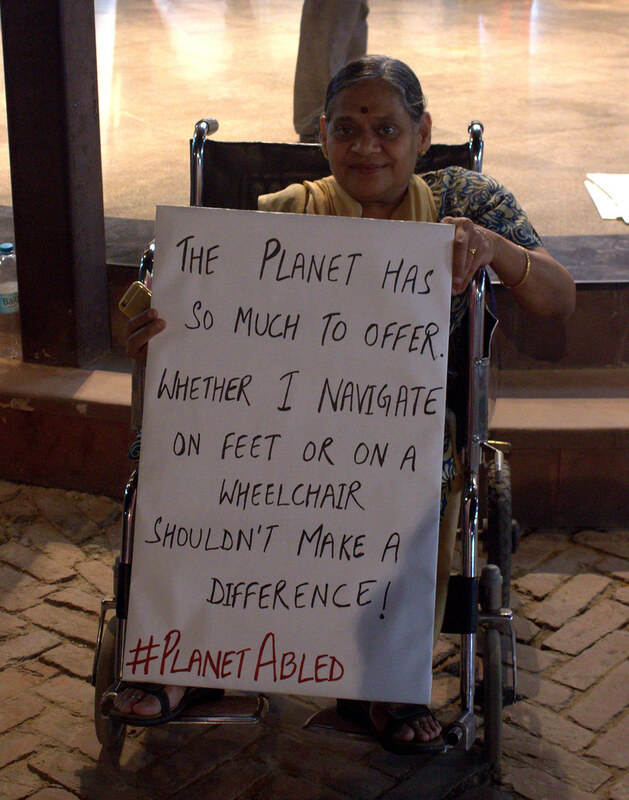 Whether I navigate on feet or on a wheelchair shouldn't make a difference', says a poster. 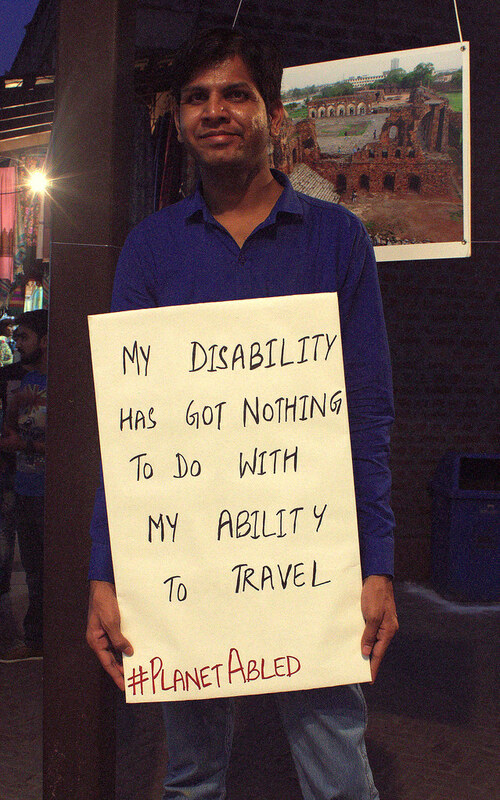 Poster Campaign: One of the poster says, 'my disability has got nothing to do with my ability to travel'. 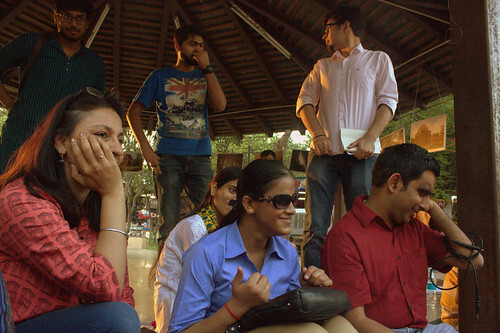 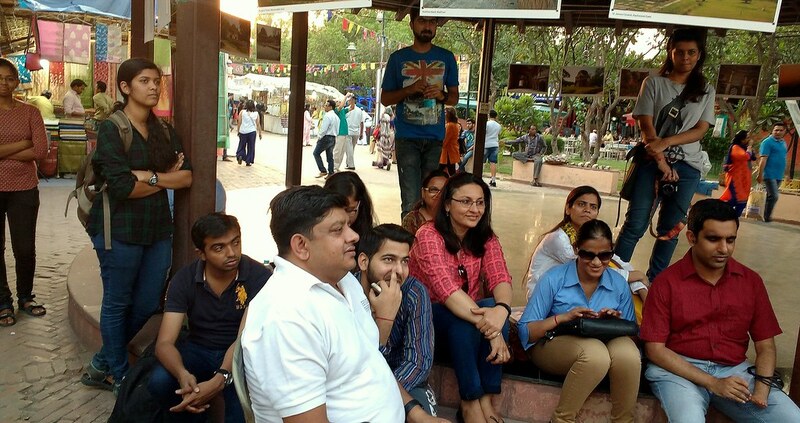 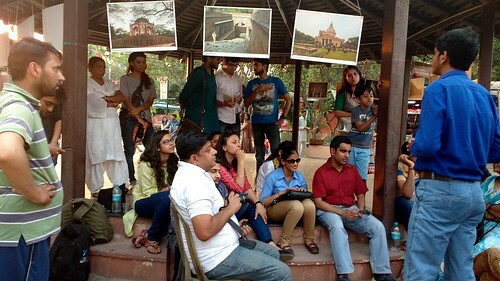 Poetry is thoughts that breathe and words that burn: People enjoying the poetry session held at Dilli Haat. Poetry is thoughts that breathe and words that burn: The group enjoying the poems. Poetry is thoughts that breathe and words that burn: Everyone seems to be lost in the words of the poet. 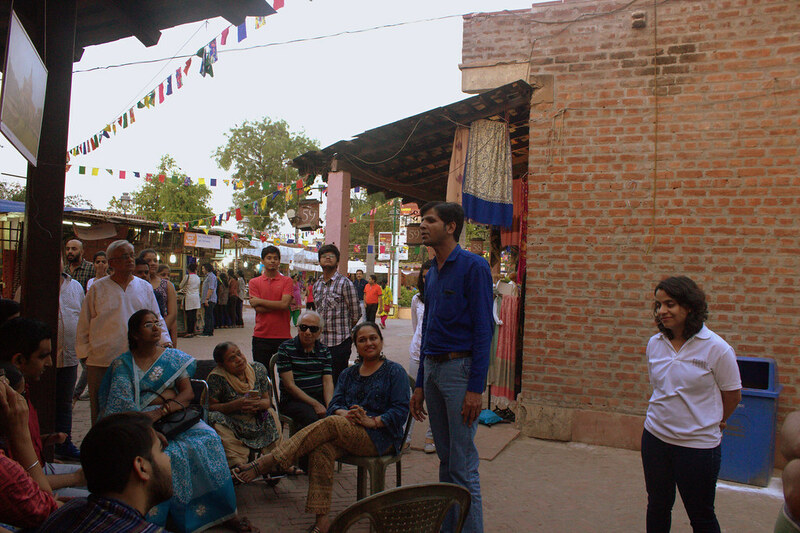 Poetry is thoughts that breathe and words that burn: Enjoying the beauty of the poems being recited. Poetry is thoughts that breathe and words that burn: Enjoying the poems! 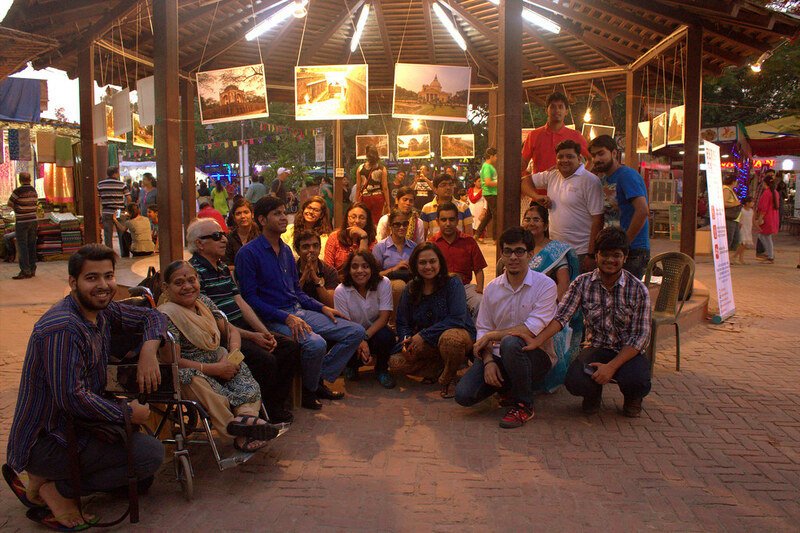 Poetry is thoughts that breathe and words that burn: Posing for the group photo! 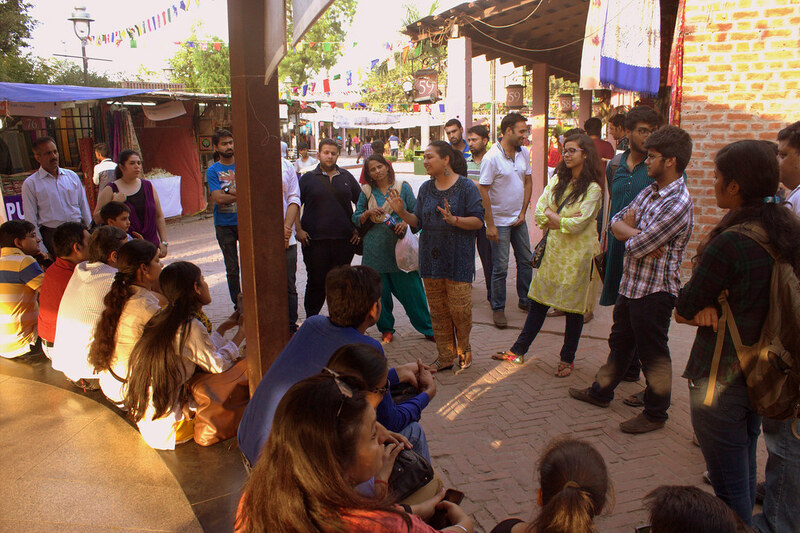 Poetry is thoughts that breathe and words that burn: Poetry session in progress. 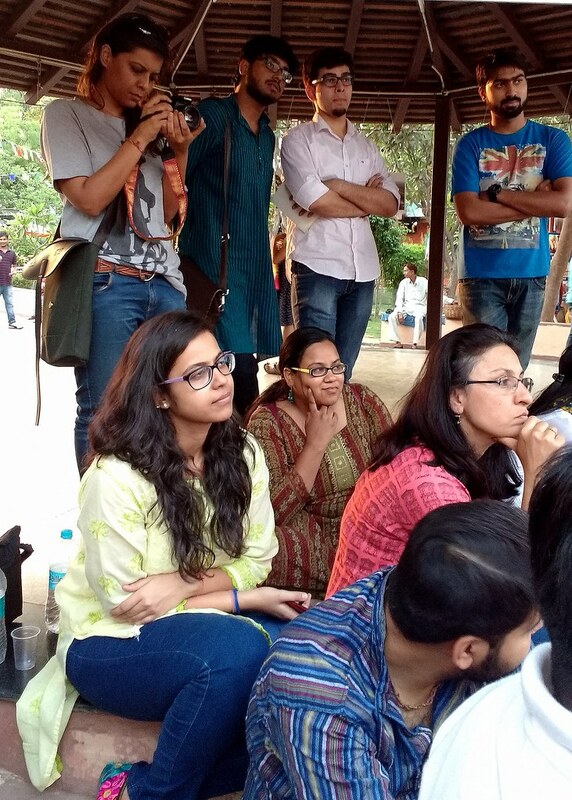 Poetry is thoughts that breathe and words that burn: The group is seen thoroughly enjoying the poetry session.